To: ALL homeowners: A petition calling for a 10-year moratorium on foreclosures. My name is David Snieckus. I have petitioned for a Massachusetts House Bill 938 on February 26, 2014: A call for a 10-year moratorium on foreclosures. 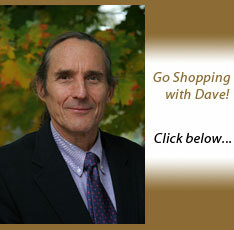 I am a Macrobiotic Counselor living in Newton, MA, with my life partner Margaret and our 11-year-old daughter Abigail. I am a Vietnam Veteran and a former employee of NSA. I co-founded the Massachusetts Foreclosure Defense League that meets every month. I am an advocate for Public Banking, and I'm a member of Credit to the People, who are educating the public on money and credit. In my humble opinion, we need a 10-year moratorium on foreclosures to clean house in the banking and mortgage industry once and for all! We need a "time out" to prevent another devastating foreclosure in Massachusetts. Foreclosures are happening more because of a mathematical phenomenon, not necessarily because people can't pay! In our current debt-based, usurious, and unsustainable monetary system, banks only issue the principal of a so-called loan and not the interest, so, in the aggregate, it is mathematically impossible to pay back principal and interest resulting in the inevitable foreclosures and bankruptcies. All the interest owed has to come from new principal someone else has borrowed and that is why the national debt just keeps rising exponentially. In addition, the interest or usury is automatically transferring the wealth from the 99% who pay more interest than they receive, to the 1% who receive more interest than they pay . Do you see how this might NECESSITATE PERIODIC JUBILEES? Furthermore, bankers, lawyers, appraisers, judges, legislators, lobbyists, brokers, and investors have not been honest in their dealings with the public at large, right from the onset, causing massive and devastating foreclosures in Massachusetts. No money is actually loaned by banks. Instead, banks monetize, through an accounting entry, homeowners' credit, which is their promise to pay the bank money based on real value. The homeowners are expected to sign at the closing an adhesion contract obligating them to turn this credit into money based on real value plus pay interest to the banks. This is usurious, outright exploitive, and has led to our current foreclosures and austerity problems! Homeowners are paying a debt they do not owe.